On 9/24, the Lumpkin County softball team traveled from Dahlonega to take on the Lady Rebels. Fannin had just come from a win the game prior to the matchup and looked to continue the trend while Lumpkin sought to remain undefeated. It was an important week for the Lady Rebels where they would play three region games that would determine their ranking. The Lady Indians started off with too much heat for the Rebels to take. They had a strong offensive game by being able to determine where they hit the ball. When they saw that the outfield was deep, they hit short. When the defense was playing up, they would hit it to the fence. Lumpkin put eight runs on the board before Fannin began to adjust their defense. Amelia Sneed pitched a great game for Fannin, but was throwing right in Lumpkin’s power house. During the first inning, Fannin put in Kaelyn Hensley for a change in speed. When Fannin finally got their three outs, they managed to only get one run on the board to end the inning. Fannin managed to adjust to the Indians offense for the next few innings. The Rebels scored five more runs while they only allowed the Indians to score one run until the sixth inning. With the score at 9-6 in the sixth inning, Lumpkin found their second wind. They started hitting like they did in the first inning and added six runs to their score. When Fannin went up to bat in an attempt to make a comeback, Lumpkin earned three outs before the Rebels could score a run. The Lady Indians closed out the game in the sixth inning with a 15-6 victory over Fannin. Lumpkin out hit Fannin 16-9 over six innings of play. 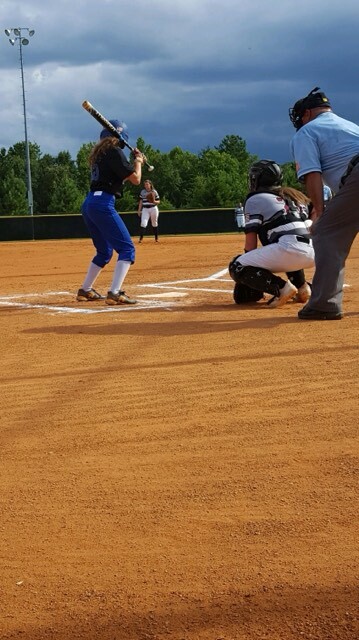 Lady Rebel, Emily Waldrep, played a major role in Fannin’s offensive game for the night where she had three RBI’s. While fannin had six errors on defense, Lumpkin only had one. The Lady Rebels loss put their overall record at 10-12 and their region record at 3-7. Lumpkin got to keep their undefeated streak, and remained at the number spot in the region.